Its bold front grille with chrome insert makes you to remember jeep which gives you elegant look, Apart from that fog lamp with chrome design, body colored door handles, sporty alloy wheels gives you a blend of classic and sporty look. Its tail gate mounted spare wheel with moulded cover resembles the design of its rival Ford Ecosport. TUV 300 has a wheel base of 2680 mm, overall length of 3995 mm and width 1835 mm with overall height of 1839 mm makes it look like tallest vehicle. 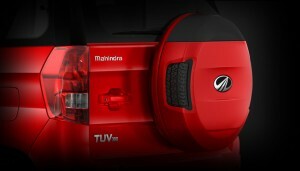 Mahindra & Mahindra Ltd is very confident about its new launch and they are giving warranty for 3 years. TUV 300 has maximum ground clearance of 191 mm to make your ride tension free on bad roads. 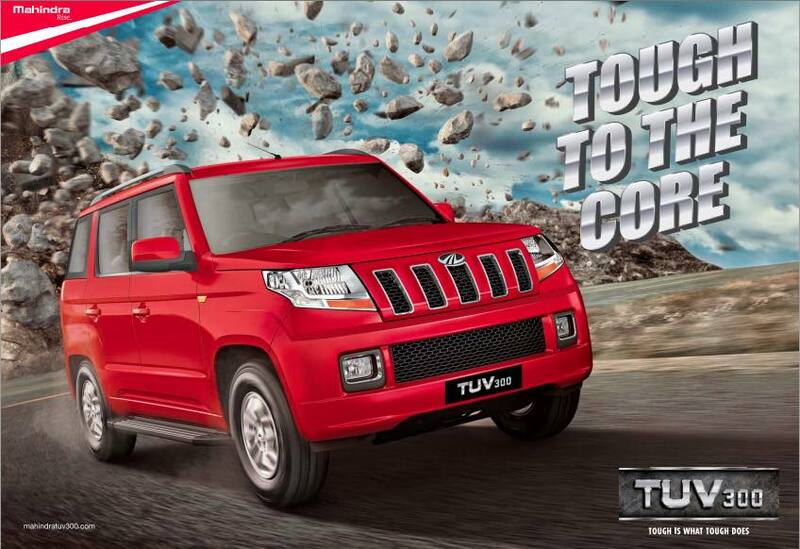 Mahindra TUV 300 is incubated with blue core technology to stay ahead in the growing competitiveness. 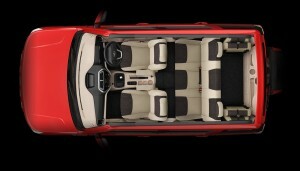 With provision like rear end defogger, Driver information system in the interior, Auto manual transmission (AMT), Intel ipark reverse assist, Voice messaging system makes TUV300 front liner in this segment. Anti lock braking system with EBD unit, driver side and co driver side air bags, digital immobilizer, auto door lock while driving, anti theft warning system, collapsible steering column and side intrusion beam makes journey more comfortable and safer in challenging road condition. Mahindra TUV 300 is powered by 1493 cc mHawk diesel engine that uses double stage turbocharger which satisfies BS4 norms which assures 18.5 Kmpl. Rear wheel drive Mahindra TUV gives you power packed performance by producing maximum torque of 61.54 Kw at 3750 rpm and torque 230 Nm at 1550-2250 rpm. 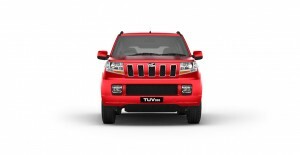 Mahindra TUV300 uses dual mass fly wheel to control torsional vibration which gives you smooth driving experience. TUV300 has 3rd generation chassis which has high torsional rigidity and high bending stiffness to give safer journey. Mahindra TUV300 uses double wishbone suspension in the front and multi link rear suspension to provide comfortable journey in all road condition. The electrically adjustable side mirrors, steering mounted audio and phone control, smart storage spaces with large interior volume with enormous legroom makes TUV 300 more convenient.